Summertime is just around the corner so Singaporeans may already start thinking of where to go to this summer. A good place to consider is Bali, Indonesia. Bali has been one of the top destinations for travelers especially after the famed Julia Roberts film Eat Pray Love. 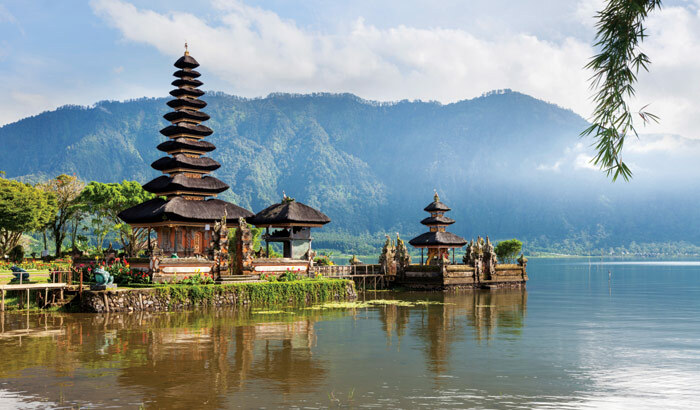 You may want to have your own Eat Pray Love version in Bali as you try the different Indonesian delicacies, visit their ancient Hindu temples, and fall in love with – you fill in the blanks. This century-old majestic temple stands at the edge of a limestone cliff. This postcard perfect scenery of greens and blue are breathtaking enough to spend a half or full day in. What’s even more exciting is you can enjoy a romantic sunset here while watching a traditional Kecak dance that is performed nightly. This is another majestic rock formation where nature, history, and religion are perfectly blended together. 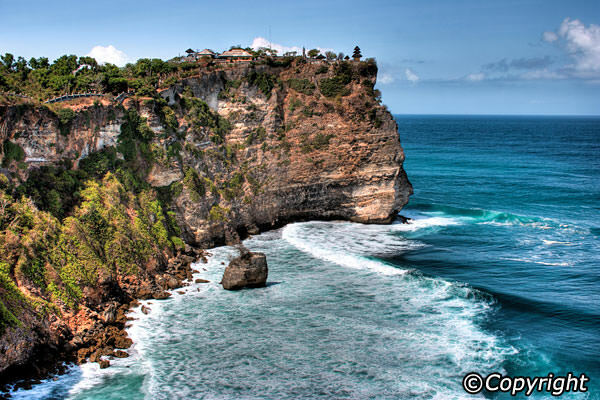 You’ll also find one of the seven most important temples in Bali laying on this rock creation. Make sure to follow warning signs along the pathway while walking along this rock formation as the waves may be too strong at times. This is also known as Bali’s temple by the lake. You’ll find this temple at the edge of the Lake Bratan and is also one of the most important temples in Bali. Catch this breathtaking view of the temple with majestic mountains as the backdrop while clear lake waters reflect the beauty of the ancient temple. Ubud is the heart of Bali and the center for culture, history, and art. This is where you’ll find most of Bali’s renowned art and history museums, Royal Palace, Sacred Monkey Forest, and many more. This is also where the Eat Pray Love movie was largely filmed. Kuta is where you’ll find most of the backpackers, tourists, and beach party-goers. This is where you can find budget accommodations, cafes, and pubs. This is where you’d want to hang out in if you only want to hit the beach, socialize, and go on night parties for most of your Bali vacation. 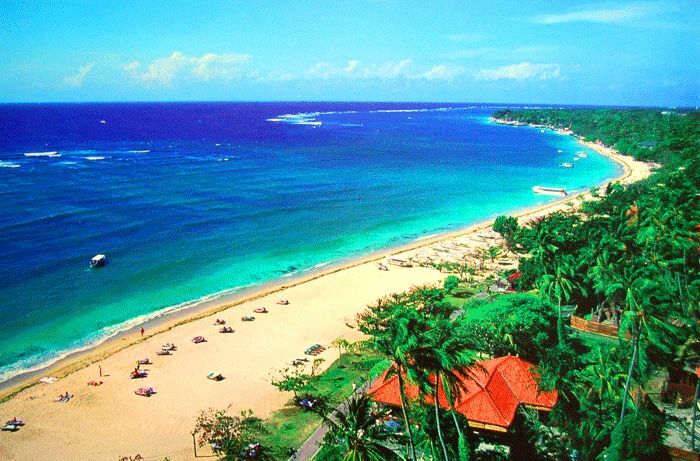 Nusa Dua Beach is the perfect place for honeymooners or for those who want to splurge on higher end hotels and exclusive pristine beach resorts.